Forest Bierman wants to be a difference maker and sees teaching as his start to be one. Bierman, a social science major with a political science concentration, sees himself in a classroom sharing his passion for civics. But in the big picture, he sees teaching as a stepping stone to go on and become active in policymaking and politics. “My interest in politics is wanting to express my thoughts and opinions in a way where I can actually affect local change,” Bierman said. He realized his new path while working alongside policymakers, staff and consultants passing through the halls at the Maryland General Assembly. He noticed how many people he met shifted from teaching to working on education reform, healthcare reform or other issues. “I’m from Cumberland. I grew up here. Ultimately, what I did was go down and learn how to make a change here,” he said. The Allegany High School graduate spent time during the legislative session in Annapolis in the office of Del. Kirill Reznik, who represents Montgomery County. Bierman is grateful for the stipend provided by the J. Glenn Beall Institute for Public Affairs at FSU to allow him to live in Annapolis and work alongside state politicians to see in person how laws are made. The Beall Institute was created by gifts through the FSU Foundation from the late Beall, a former U.S. senator, his family and others. Since 2005, the Beall Institute has assisted and financially supported students with opportunities to serve in the General Assembly in Annapolis and on Capitol Hill in Washington. 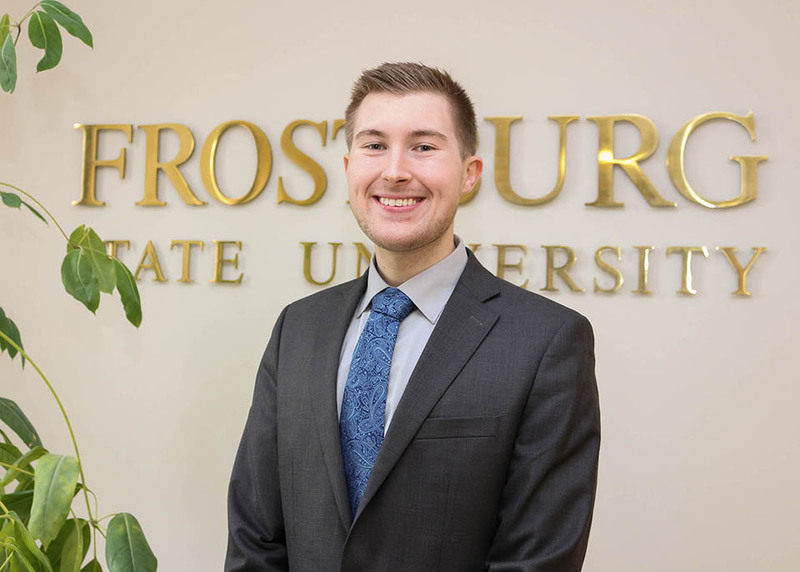 FSU courses helped him know what to expect at his internship, especially POSC 321 American State and Local Politics, taught by Beall Institute executive director Timothy Magrath. Bierman fielded calls and emails from constituents about whatever was on their mind, completed research for proposed legislation and more while living in Annapolis. The legislation is an amendment to the Maryland Constitution that would allow residents to register to vote on Election Day. Maryland voters would have to approve the measure for it to become law. Perhaps one of the underappreciated skills he learned was how to handle angry callers. In his spare time, Bierman helps coach soccer at Allegany High School. It was there on the soccer pitch that he realized he wanted to work in secondary school education. Bierman has applied to the Master of Arts in Teaching program at FSU to start his path toward teaching.